Just one shore week ago I was in Miami for the annual BlogHer Food Conference. I have to admit that I wasn’t really all that excited about Miami. 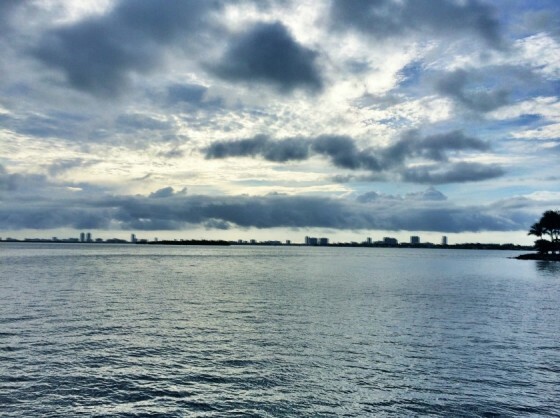 Nothing against Florida, but Miami has just never been at the top of my “to-visit” list. However, Miami sort of knocked my socks off. 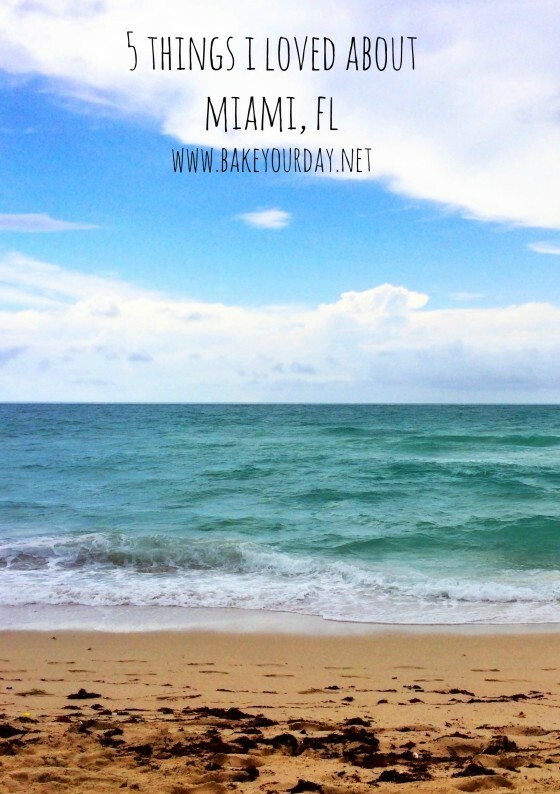 We had plenty of fun running around in Miami so I’ll share a little with you: 10 things I loved about Miami. First of all, I have some amazing friends in this business we call blogging. 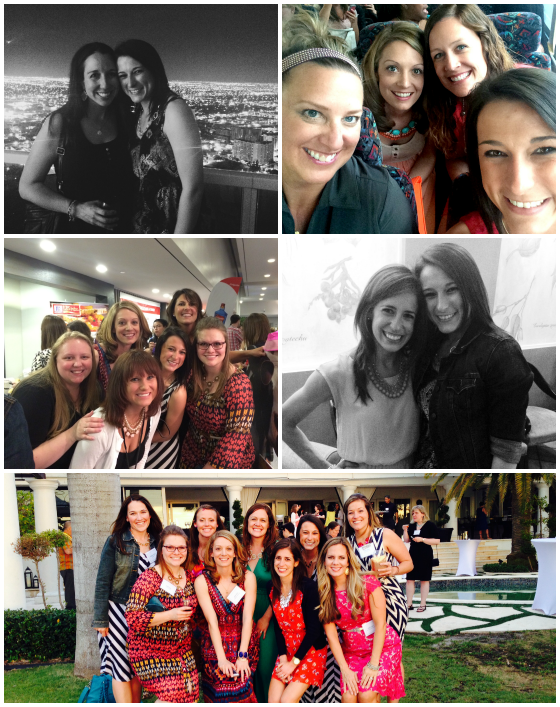 I never ever imagined that I would meet such amazing women (and men!) and develop such great friendships. Erin & I roomed together and we ran around with Megan, Meagan, Katie, Lauren, Annalise, Heidi, Liz, Sheila, Nikki, Amanda, and Katrina and others, of course. 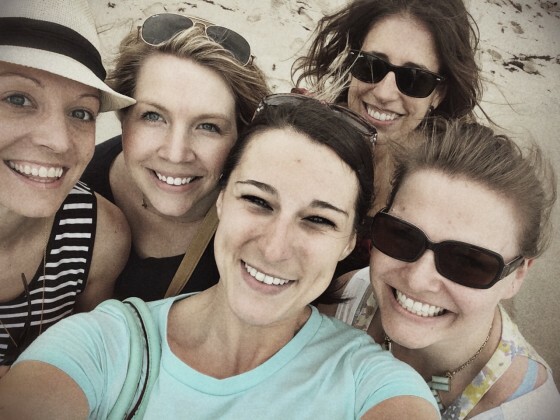 I can say, without a doubt, that the conference experience would not be the same at all without sharing it with these ladies. In addition to old friends whom I completely adore, I met some new friends like Deborah, Aggie, Mary, Meseidy, Erin, Liz, Shaina, and MANY more. I feel so bad even listing a few because I know I am missing so many. All of this to say that I think my favorite thing about going to a conference is getting to meet (and hug) people whom I’ve talked with over social media for years. Nothing better that a few minutes of face-to-face after a few years of knowing someone only from behind a screen! So we didn’t get to spend as much time at the beach as I had hoped. The weather was actually touch-and-go and somewhat rainy for the first couple of days so that hindered our beach-going but it was one of the first things we did after having an amazing breakfast on Thursday. 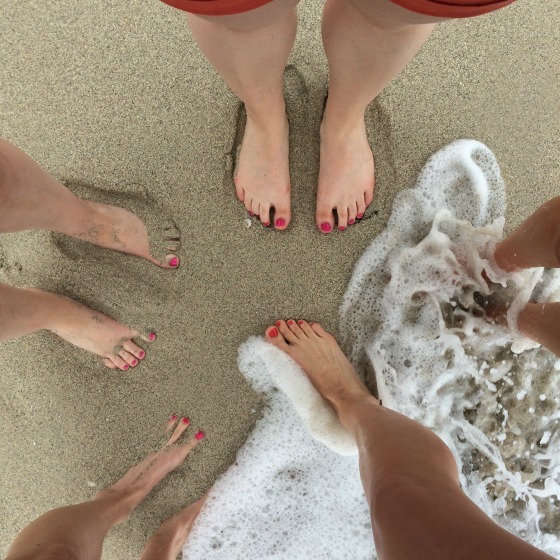 We got to get our toes in the sand and let the waves rush up on to our feet and it was SO refreshing. Just staring out into the ocean makes you realize just how small you are! 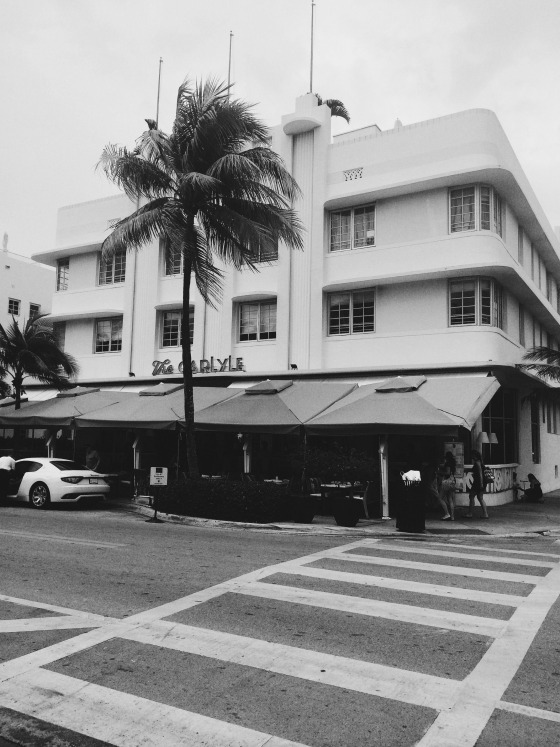 The Front Porch – the hotel concierge recommended this place to us on Thursday morning so we grabbed a cab and headed to South Beach and it did not disappoint. 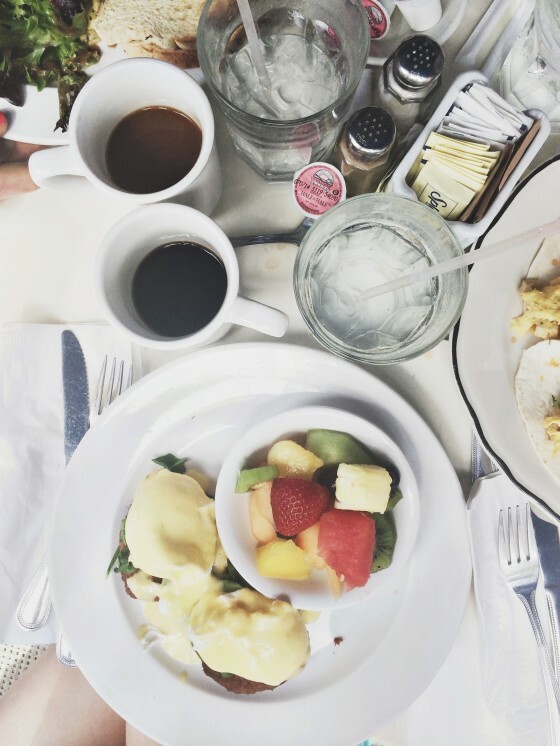 The concierge told us this was his favorite breakfast location and I’m pretty sure each of us would go back – migas, breakfast tacos, green eggs, crab cakes eggs benedict and good coffee. 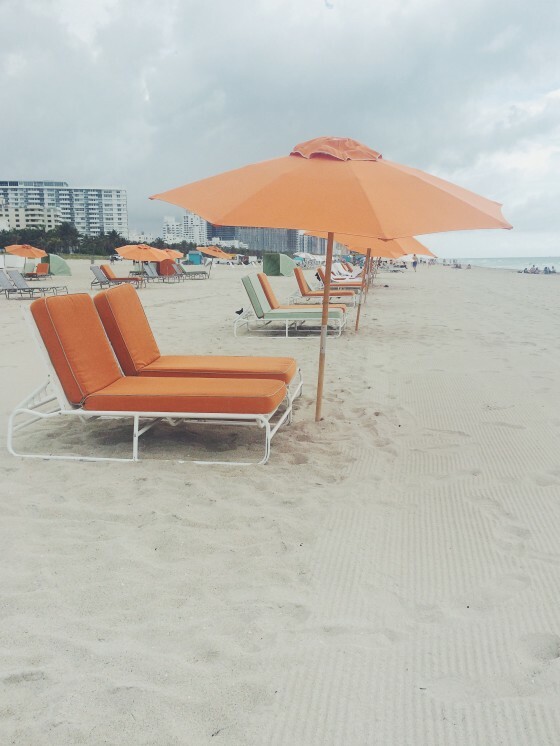 What else do you need to kick off your time in Miami? Yardbird – On Friday we decided to sneak away from the conference hotel and head out for a lunch of our own. So we headed to YardBird. It’s essentially been voted best-everything in Miami and the first cocktail listed is a Bourbon Blackberry Lemonade so why would you NOT go there? 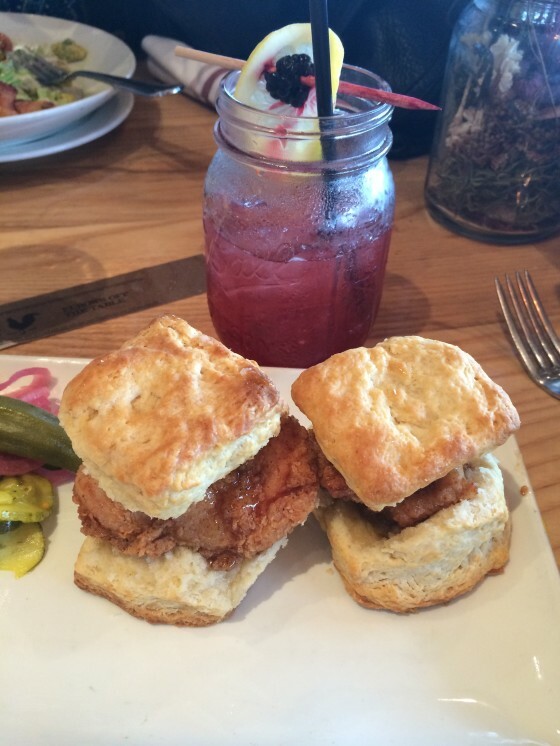 Their style is southern so you see mac & cheese, fried chicken, waffles and biscuits on the menu. The BEST biscuits. Like, melt in your mouth! I had chicken & waffles. The chicken was so tender and the breading was really flavorful, but not too thick, served with pepper jelly that was just sweet enough, and homemade pickles which I could have made a meal of. And don’t let me get started on the lemonade. I’ll be recreating it, for sure. Just look at that amazing color! 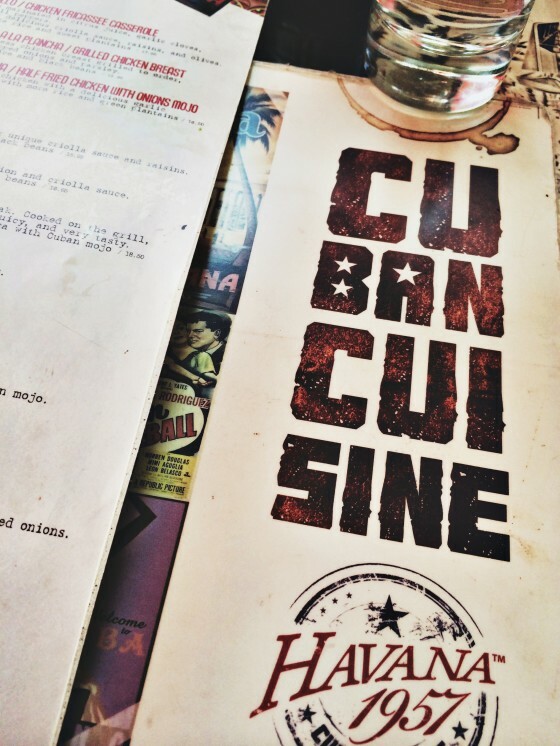 Havana 1957 – An adorable culture-filled Cuban cafe. All open-air and in the middle one of the coolest streets on Miami Beach – Espanola Way. People were ALL over. We sat down and they brought a bucket of crispy and salty fried plantain chips. You guys – I’m totally sold on plantains now! I ate Lechon Asado which was slow-roasted pork, Cuban style. It was served with some of the best rice I’ve ever eaten, along with yuca which I adored! I also had the Ultimate Mojito which was served full of mint along with sugar cane. It was incredible! Truth be told, we came across this place totally & completely by accident. We were looking for a snack and a glass of wine after the conference closing party and we were able to walk to this restaurant from the hotel so we gave it a shot. It was evident pretty quickly that we made a good choice. 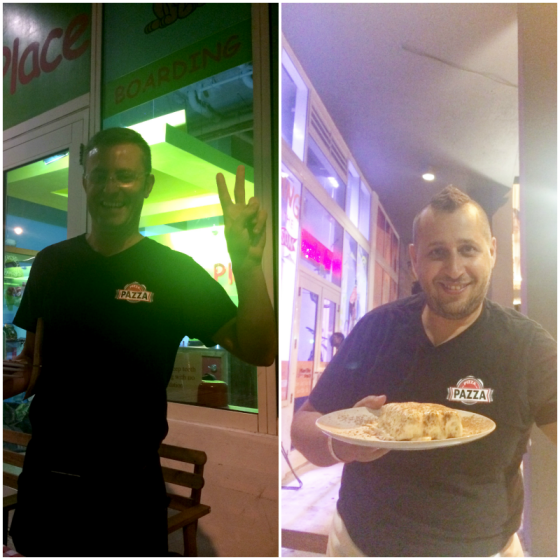 The chef & server were the-real-deal Italian…talked with their hands and everything. It was the best! They brought us a huge antipasto tray with meats, cheeses, peppers, olives, flatbread, etc. I would love another one of those right now. We share some wine and some pizza and they graciously offered us dessert, which of course, we could not pass up. 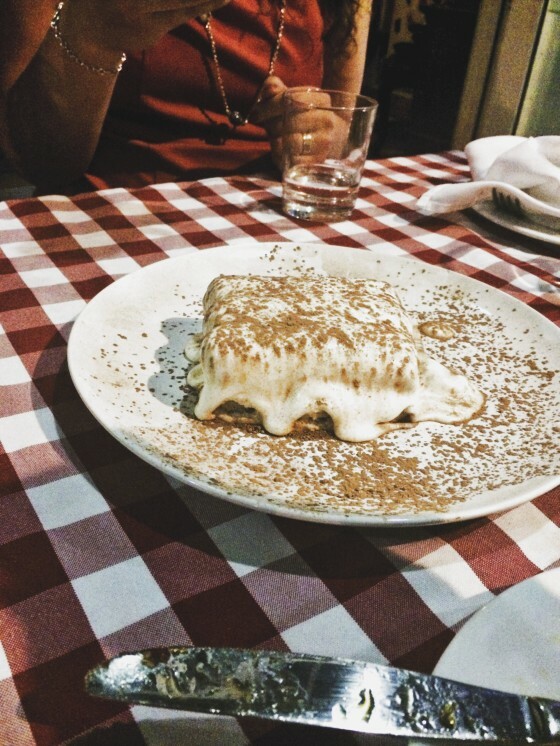 So we devoured a slice of homemade tiramisu that honestly could not be beat. I want to go back to Miami just for another slice! I just loved these guys! 4. The views & culture. All.Over.Town. The views are to-die-for. 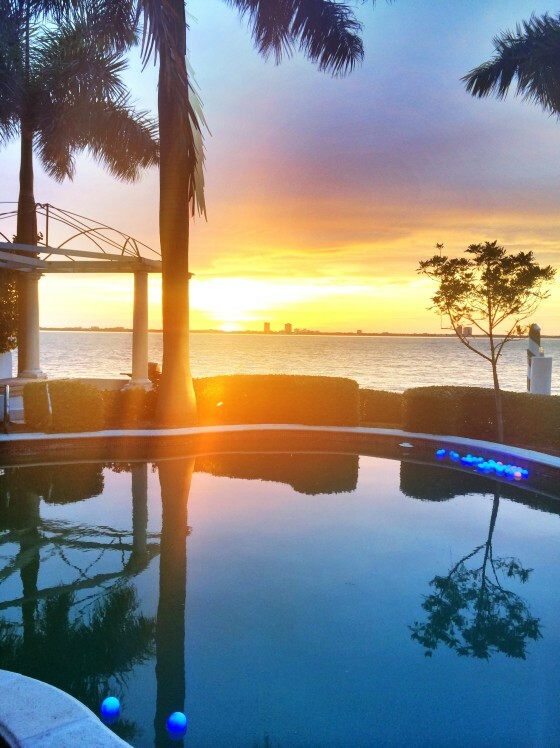 Amanda & Jenny hosted a couple of gatherings in their 51-st floor condo overlooking Miami. Holy cow…the view made my feet thingle! The culture of Miami totally surprised me. Miami surprised me in general but the culture definitely stuck out. The architecture, the art and the little things that caught my eye. It was a great people-watching city and totally fun to just walk around and take it all in, especially on South Beach! Erin & I took a couple of long morning walks and I loved the views we got to catch! Even from our hotel room, on cloudy days, the view was incredible. Networking with other bloggers and with brands is always a plus. Networking is really never a waste of time, right? I met up with a few brands that I really loved. Wisconsin Cheese stuck out to me as a top-notch sponsor. They hosted a wine & cheese pairing on Friday night that was so incredible. 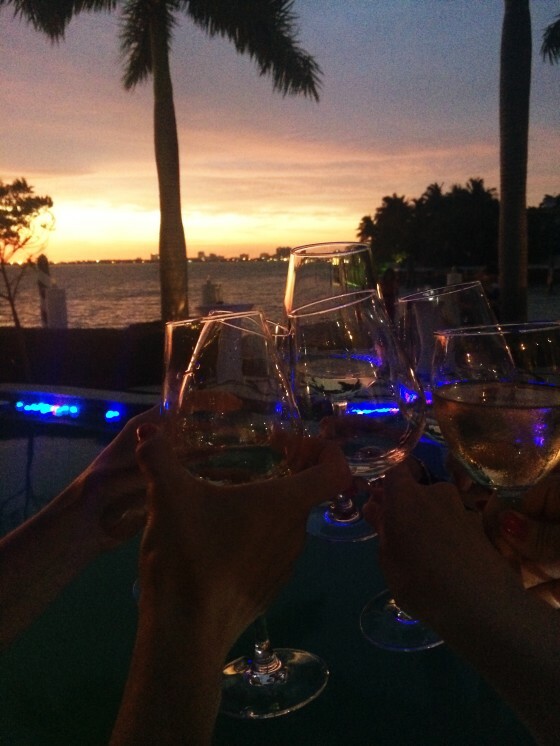 The location provided outstanding views; the food they served was outstanding; the pairing was not only delicious (both the wine & cheese) but it was relaxed and actually informative without being pushy. I also enjoyed meeting the folks from Visit South Walton, Stonyfield, Kerrygold, Applegate Farms, and Aldi. And again, I’m sure I’m missing a few here. Bonus! 90’s Elevator Dance Parties. Because I can’t help but share this one. I mentioned last week that when I decided to go to BHF, every time I thought about Miami, I started singing Will Smith’s song from the 90’s. That prompted me to make a, if I do say so myself, pretty stellar 90’s playlist which sort-of became our ongoing anthem for the whole weekend. Now there are several of my favorite 90’s tunes that, when I hear them, I’ll forever be reminded of my laughs in Miami. I should mention that we didn’t just listen to the playlist, we had a few dance parties, a few of which occurred in the hotel elevators. This could possibly be my favorite memory from the trip. Thinking back I can’t remember why we started dancing in the elevator. All I know is that we did and I will never ever regret it. I know that reading this, it’s going to sound like all we did was party and eat and drink. We did our fair share, but we also learned some things too. I attended a lightening session on monetization, a keynote about Pinterest, panel discussions on “next steps in a food career”, and a couple of kitchen demos, one particularly on the Flavors of Miami which I loved. I love experiencing local culture and flavors and it was so great to get to watch and taste some local flavors. Thanks again to Kernel Season’s for sponsoring my trip to BlogHer Food this year. And thank you for supporting the brands who support Bake Your Day! I’ve only ever been through Miami in passing but this definitely makes me want to spend a bit more time there. Looks like it was a total blast! SO MUCH FUN! I had such a blast taking on the town with you!! Reunion soon please? LOVE this post!!! Man I wish it was last week all over again!! Miss your beautiful face!! I loved seeing your pics on IG! I wish I could have made it to the conference this year, especially since it was pretty much in my backyard. Looks like sooo much fun!!! I love all of the group photos, so much fun! One of these days I’ll finally get to Bloher Food… and hopefully meet you! Those elevator disco shots are the best! So happy we got to hang again. You’re just the bomb diggity. 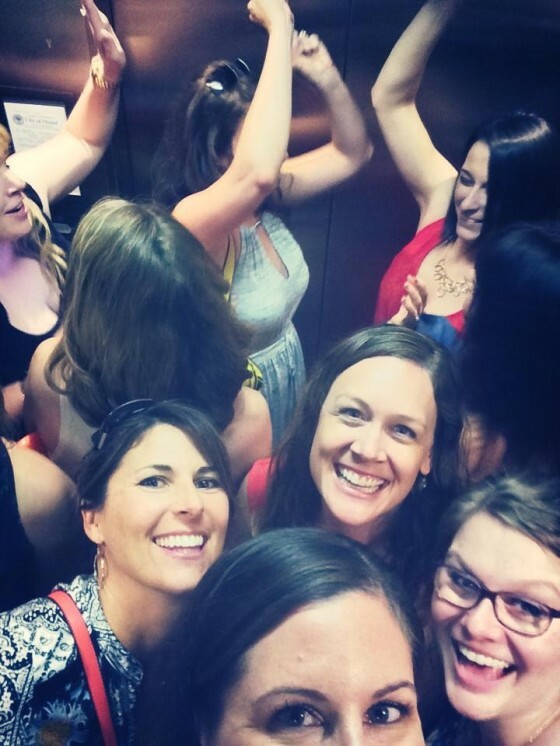 I’m kind of bummed I missed out on these elevator dance parties, seriously???? Meeting you (finally) was truly one of the highlights of my BHF experience! I just love ya girl…needed more time together. Miami was a blast, and I loved catching up with you, Cassie. LOVE the elevator dancing 🙂 Happy weekend to you and Paul! Next time we need to hang out more. You had so much fun. It was so nice meeting you at Blog Her Food! Great photos! It looks like you had such a fantastic time! That must be a great memory! Gah! So fun! Totally wish I could have been there, but so glad you all had a blast! I loved following along with all of yours guys’ pictures! I hope I can go next year! So many great places and beautiful faces! Makes me sad I had to miss it! 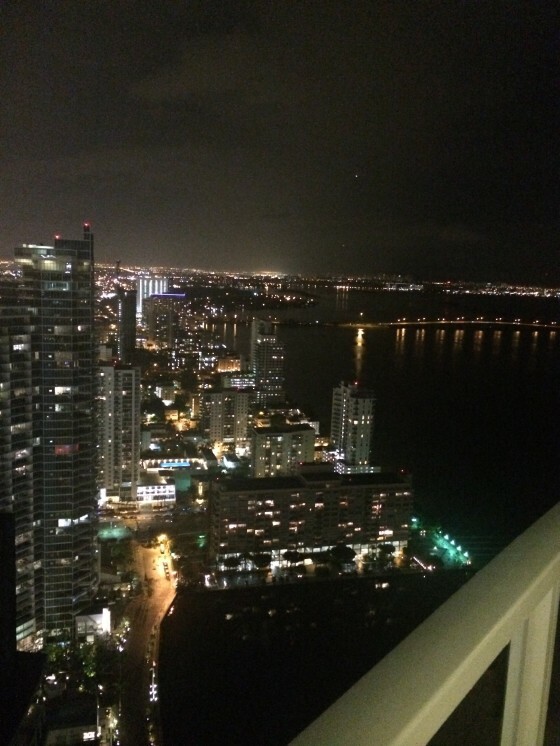 I went to Miami when I was in high school and fell in love with the city. I just loved all the diversity and culture. It’s one of the big reasons I chose to move to the inner city after college. Such a great wrap up! Love love love that I got to spend some time with you in Miami! (and now I’m bummed to have missed the dance party!) The whole weekend really was fabulous! I love seeing all the great pics. 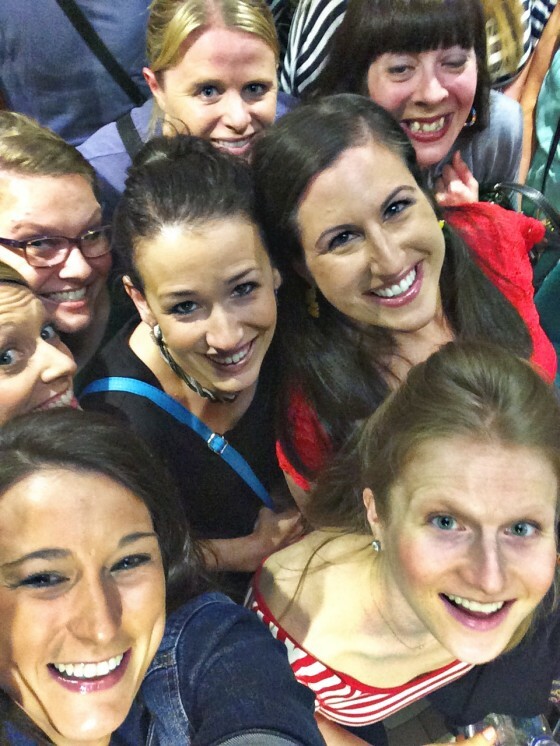 I was there at BlogHer yet I feel like I missed everything. It didn’t help that we had to stay at a different hotel since I had a diabetic animal with me. Boo! Next year I am staying at the sponsored hotel so I can meet more people! I still had a blast and met lots of fun peeps but it looks like you guys had even more fun! So much fun! Next year, I gotta make it there. Loved spending some time with you and getting to do lunch!! Hugs!